Welcome to the new Mackinac Straits Bed & Breakfast in St. Ignace . We’re open year round, so you can enjoy all four seasons! 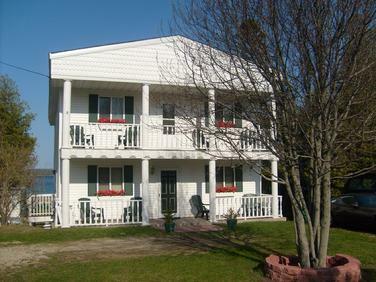 We’re located right on Lake Huron (on the Straits of Mackinac), overlooking Mackinac Island and the Mackinac Bridge! Just minutes away from the ferry to the island and the casino! We’re a perfect choice for a night/weekend stay! Come be our guest! We have everything you need to make your stay fun & enjoyable at our Bed and Breakfast (B&B). There is always something happening in our fine city! Enjoy the rich history of America’s third oldest city and the good life in Michigan’s upper peninsula.